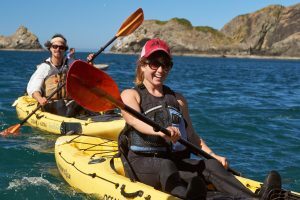 Two new publications from Oregon Sea Grant examine several facets of Oregon coast recreational outfitters and tour guides, including their services, pricing, and online marketing effectiveness. 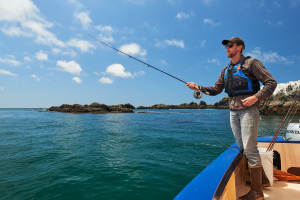 Assessment of Registered Oregon Coast Outfitters and Guides examines data related to guides registered with the Oregon State Marine Board and provides a summary of some basic information about registered guides in the state, including numbers, locations and types of services provided. A printable PDF of the eight-page publication is available for free download here. 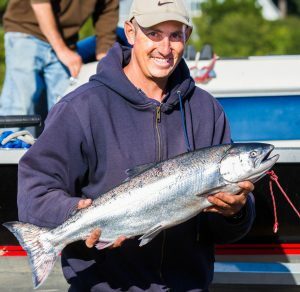 A companion publication, Survey of Online Marketing Success and Pricing for Oregon Coast Fishing Guides and Tour Operators, presents an inventory of guided salmon fishing, whale watching and kayaking businesses. Guide and tour companies can use this study to gauge the effectiveness of their online marketing and to better understand how their services are priced in the marketplace. You can download a free, printable PDF of the 18-page publication here. The publications represent an effort to better understand such businesses’ economic impacts, job opportunities, resource management, professional development opportunities and marketing support. 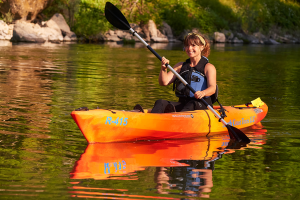 Individuals and organizations that might benefit from these reports include registered Oregon guide businesses, tour operators, coastal tourism promoters, community and economic development firms, natural-resource management agencies and researchers. 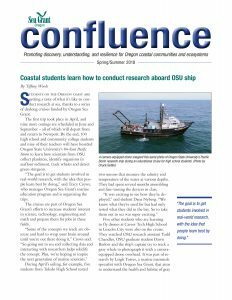 The research for both publications was conducted with the support and cooperation of Oregon Sea Grant (OSG), Oregon State University Extension, Wild Rivers Coast Alliance, the Oregon Coast Visitors Association and the Oregon State Marine Board. Authors are Miles Phillips, an OSG Extension coastal tourism specialist; and Catie Michel, a 2017 OSG Summer Scholar. 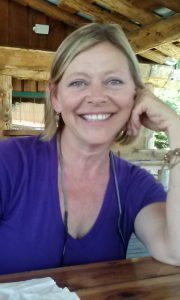 Phillips is also the author of the OSG publications Agritourism in Oregon’s Coastal Counties: Land Use Policy and Permitting Requirements and Transient Lodging Taxes on the Oregon Coast. 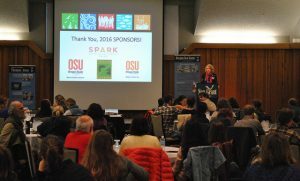 About 250 people attended Oregon Sea Grant’s annual State of the Coast conference, which was held this year in Florence on Oct. 28. 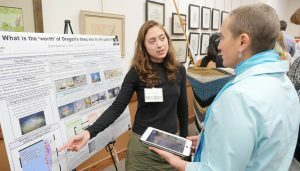 That figure includes 40 speakers, 35 students who explained their research in a poster session, and eight exhibiting artists, said Jamie Doyle, an Oregon Sea Grant faculty member who helped organize the event. The students came from Oregon State University, Portland State University and the University of Oregon. Rick Spinrad, a former chief scientist for the National Oceanic and Atmospheric Administration and a former vice president for research at OSU, gave the keynote address. The keynote speaker will be Rick Spinrad, the chief scientist for the National Oceanic and Atmospheric Administration from 2014 to January 2017. He was also the vice president of research at Oregon State University from 2010 to 2014. 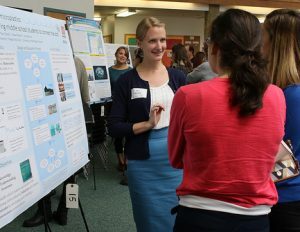 Additionally, students from various universities in Oregon will talk about their coastal research. Also, a coastal chef will demonstrate how to prepare various types of seafood. Registration in advance is recommended as space is limited. Cost is $35 for the public and $25 for students. It includes refreshments, lunch and a raffle ticket. The conference begins at 8:30 a.m. and concludes with a reception that starts at 4 p.m. For more information and to register, visit www.stateofthecoast.com. 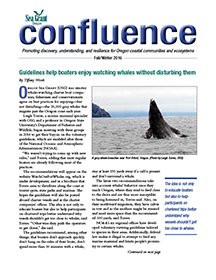 The event will take place at the Florence Events Center at 715 Quince St.
Spring Whale Watch Week coincides with spring break for most Oregon schools and universities, and that makes March 23-30 a great time to head for the coast and look for whales. Hundreds of giant gray whales, including females and their new calves, travel past Oregon on their way to their spring and summer feeding grounds off Alaska. Many come fairly close to shore, and it’s not unusual to see their spouts – and sometimes the animals themselves – as they swim northward. OSU’s Hatfield Marine Science Center is open daily from 10 am to 5 pm during Whale Watch Week, with special marine mammal programs and activities. 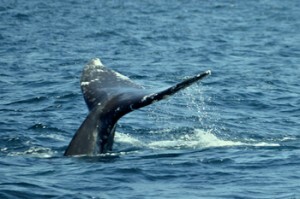 Trained volunteers will be stationed at prime whale-watching spots in coastal parks to help visitors learn how to spot the animals, and to share what they know about their life history, biology and migratory habits. 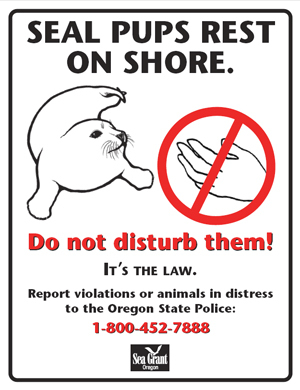 Look for the “Whale Watching Spoken Here” signs. Whalespoken.org, the official Oregon Parks & Recreation whale-watch site, includes maps showing the best whale viewing areas along the coast. Free .pdf downloads of Oregon Sea Grant’s popular Gray Whales brochure, in English and Spanish versions. Oregon State University’s Marine Mammal Institute, a multidisciplinary program dedicated to the study of whales and other marine mammals.